The driver involved in a fatal crash on Interstate 64 near Ferdinand has been identified as Terri Jo Kanter, 60 of Evansville. All death notifications have been made. 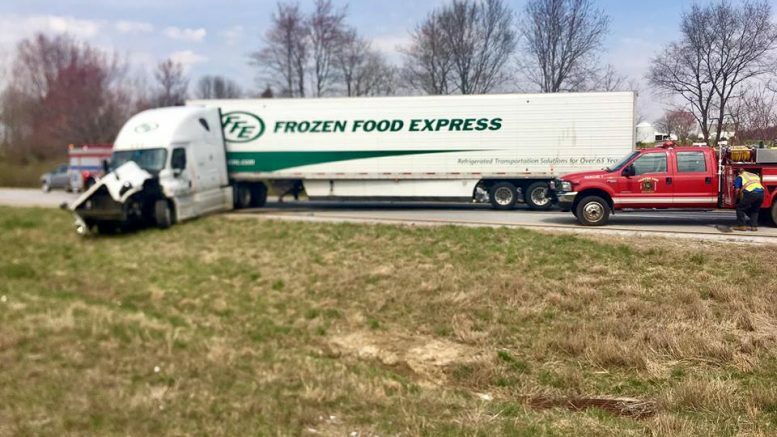 Shortly after noon last Friday, Indiana State Troopers responded to a fatal accident on I-64 west of Ferdinand near the 60 mile-marker. Reckner was not injured during the crash but he was transported to a local hospital by a trooper for a certified chemical test, which is standard protocol for persons involved in an injury accident. The Kanter’s vehicle was removed from the crash scene and taken to the Carter Township Volunteer Fire Department where an autopsy was performed. Unfortunately, due to the severity of the impact, the Spencer County Coroners Office could not make a positive identification for several days. It was revealed today that Kanter was identified. Troopers were assisted by Santa Claus Police Department, Spencer County Sheriff’s Department, Carter Township Volunteer Fire Department, Spencer County Coroners Office & INDOT. Be the first to comment on "Driver of I-64 Fatal Identified"